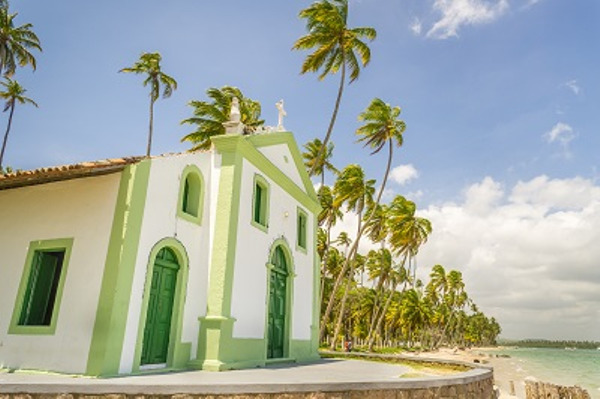 Our most popular itinerary with: Fortaleza, Guajirú, Jericoacoara, the Delta of Parnaíba, and the Lençóis Maranhenses National Park. The period between June and September is the best to enjoy this itinerary. The driver will pick you up at Fortaleza airport or at the hotel to drive you to the seaside village of Guajirú. On the way, you will have the opportunity to stop at Lagoinha to see its photogenic landscape and take a bath if you wish. Free day to enjoy the hotel facilities and the peacefulness of the really beautiful Guajirú. Departure for Icaraí de Amontada, affectionately nicknamed Icaraizinho by the Brazilians. The adventure continues towards Mundaú, at the mouth of the Mundaú River, until reaching your hotel in Icaraizinho. Free day to enjoy Icaraí beautiful beaches and restaurants. Departure towards Preá and Jericoacoara, where you will spend a few amazing days. Departure at 9h00 for a buggy excursion with a local driver to the Lagoa Azul and the Lagoa do Paraíso. You will make a stop at the Pedra Furada (holed stone) and the Árvore da Preguiça (laziness tree) to take some pictures. You will then follow to the lagoons to swim and enjoy the hammocks. Lunch (not included) in one of the Lagoa do Paraíso little restaurants. Ride back to Jericoacoara in the afternoon. 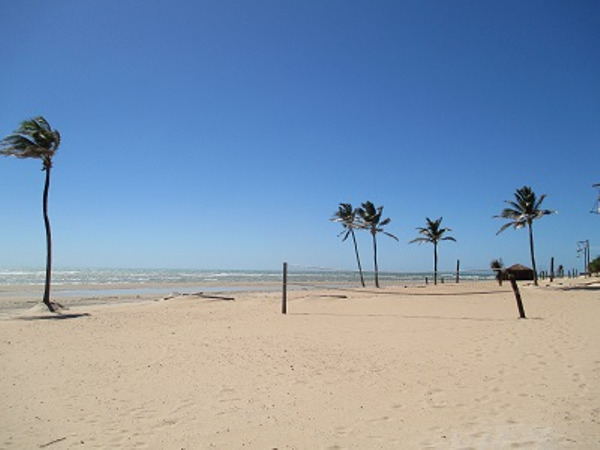 Your driver will pick you up at your hotel in Jeri to go to Barra Grande village. 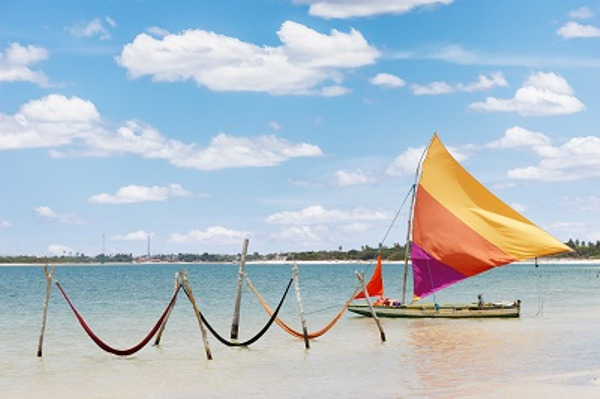 You will cross rivers, take a bath in the Lagoa Torta lagoon and enjoy the over the water hammocks. 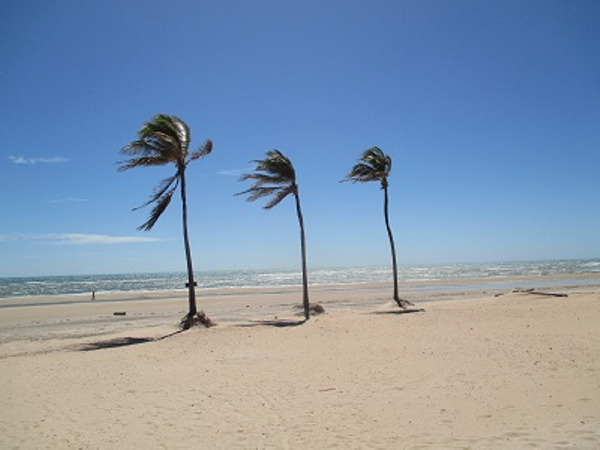 After crossing Camocim village, you will arrive at Barra Grande seaside village. Transfer from Barra Grande to the Delta of Parnaíba. 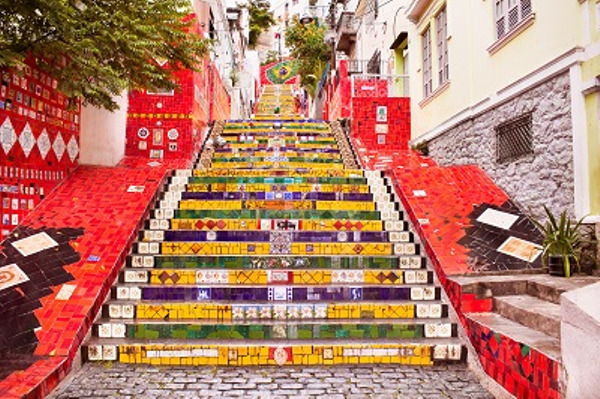 Depending on your hotel, you will either spend the night on Parnaíba village or on a Delta Island. Full day transfer from the Delta of Parnaíba to the Lençóis Maranhenses National Park. You will first take a motorboat through the Delta waterways until Tutoia harbor. On the way, you will have the opportunity to observe the rich Delta fauna. Caimans, monkeys and kingfishers are among the animals you will probably see. In Tutoia harbor, your driver will be waiting to drive you to the Caburé shoal by a coastal road. After your lunch in Caburé, you will take a boat for 20 minutes to Atins, one of the gates to the Lençóis Maranhenses National Park. Departure at 8h00 from your hotel towards the Lençóis Maranhenses Park. After a short 4WD ride to Canto do Atins, you will walk approximately 50 minutes between sand dunes and lagoons and eventually reach the Lagoa Verde. After enjoying a refreshing bath, your driver will take you to a restaurant where you will taste the famous shrimps of Dona Luiza. Return to Atins around 18h30. Free day to enjoy Atins, its tranquility and heavenly beaches. You will take a motorboat from Atins to Barreirinhas. n.b. 1 hour 30 minutes transfer. 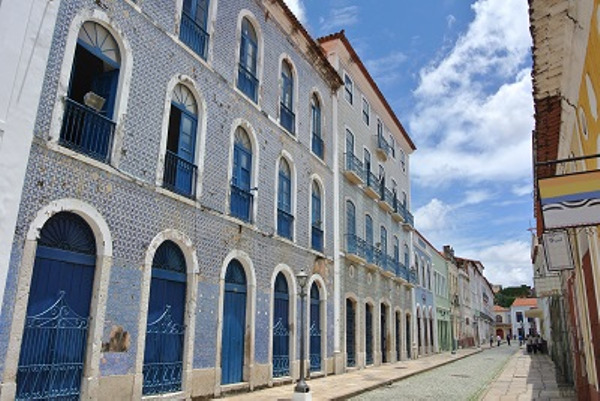 Your driver will pick you up in Barreirinhas to drive you to your hotel or to the airport in São Luís (5 hours' drive).